Nordic Diet Could Be Local Alternative To Mediterranean Diet : The Salt The Mediterranean diet is one of the healthiest styles of eating in the world. But in many regions, including Denmark and Sweden, it's not easy to follow when olive oil is hard to find. Now Nordic researchers are exploring the health benefits of a Nordic diet, based on local foods like herring and bilberries. 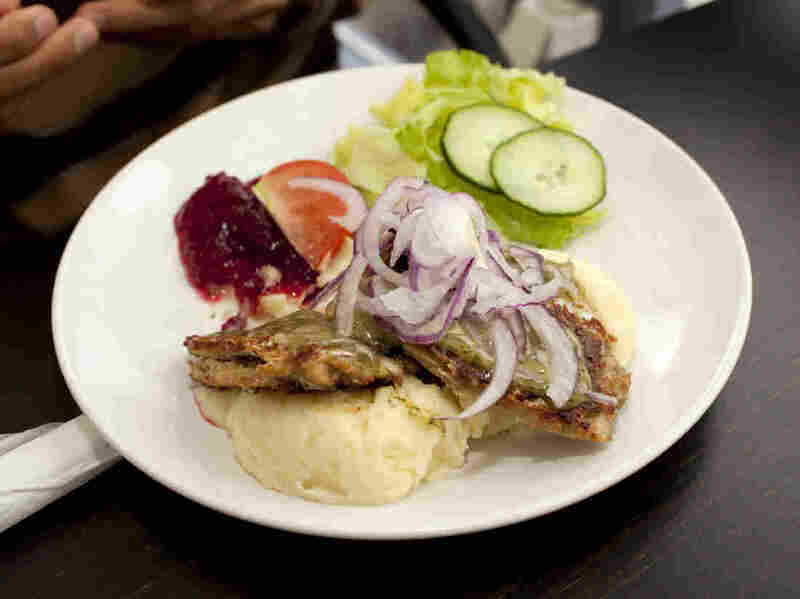 A typical Swedish meal of fried herring and lingonberries includes some of the local ingredients of the healthy Nordic diet prescribed in a new study.